By admitting that he used performance-enhancing drugs to dominate cycling and become one of the world’s most marketable athletes, Lance Armstrong has weakened his defense in a series of lawsuits that could cost him more than $100 million. In doing so, Mr. Armstrong also may have provided an inadvertent blueprint for how to better deter high-profile athletes from doping. Forget public shame. Never mind competitive bans. Instead, get a lawyer — or a couple of dozen. Then go after the money. When athletes are exposed as performance-enhancing drug users — think baseball slugger Barry Bonds or track star Marion Jones — they typically face public disapproval. Competitive suspensions. Loss of salary, sponsorships and endorsements. Like too-big-too-fail investment banks, they also tend to keep the money they’ve already earned — financial windfalls, in many cases, made possible by cheating, which in turn makes their decisions to dope qualify as rational reactions to skewed incentives. Mr. Armstrong’s case may prove different. The disgraced cyclist appears in an exclusive television interview with Oprah Winfrey on Thursday and Friday nights, in which he is expected to offer a mea culpa for allegedly masterminding what a voluminous United States Anti-Doping Agency report called the most sophisticated doping program in the history of sport. But his words likely will be cautious, rehearsed and vetted by Mr. Armstrong’s sizable stable of defense attorneys and public relations advisers. After all, Mr. Armstrong faces a whistleblower lawsuit filed by former teammate Floyd Landis that asserts Mr. Armstrong defrauded the federal government by using performance-enhancing drugs and overseeing other riders doing the same, thereby violating the terms of a sponsorship contract with the United States Postal Service that paid Mr. Armstrong’s cycling team more than $30 million from 1998 to 2004. From 1999 to 2005, Mr. Armstrong won seven consecutive Tour de France titles, all of which have since been voided. According to the New York Daily News, Attorney General Eric H. Holder Jr. will decide by Thursday whether the Department of Justice will join Mr. Landis‘ lawsuit, filed under the False Claims Act, a law that allows individuals to file suit on behalf of the government as a way of recovering fraud against taxpayers. If the government does join the lawsuit, it could seek triple damages of more than $90 million from Mr. Armstrong and his co-defendants, who reportedly include his longtime manager, corporate backers and a San Francisco investment banker who founded Tailwind Sports, the holding company for Mr. Armstrong's U.S. Postal Service teams. The federal government reportedly recovered a record $3.2 billion via whistleblower lawsuits last year. “If that whistleblower suit comes to fruition, whether it’s Landis pursuing it individually or Eric Holder pursuing it as the attorney general, that’s a big deal,” said Ryan Rodenberg, a sports management professor at Florida State University and an authority on sports contracts. “Repaying a lot of money to the feds is a big deal. Potential criminal liability is a big deal. Hiring a bunch of high-priced lawyers for that fight is a big deal. Mr. Armstrong’s legal entanglements don’t stop there: On Tuesday, the government of South Australian state said it would seek the repayment of several million dollars in appearance fees paid to Mr. Armstrong for competing in the Tour Down Under in 2009 through 2011. Britain’s Sunday Times newspaper — sued in the past by Mr. Armstrong for publishing an article that accused the cyclist of doping — is suing the cyclist for $1.5 million, seeking to recoup a $500,000 settlement plus interest and legal fees. Mr. Armstrong also is expected to face a lawsuit from a Dallas-based insurance company seeking to recover the more than $12 million it paid out to indemnify Tailwind Sports for losses incurred in disbursing cycling performance bonuses. 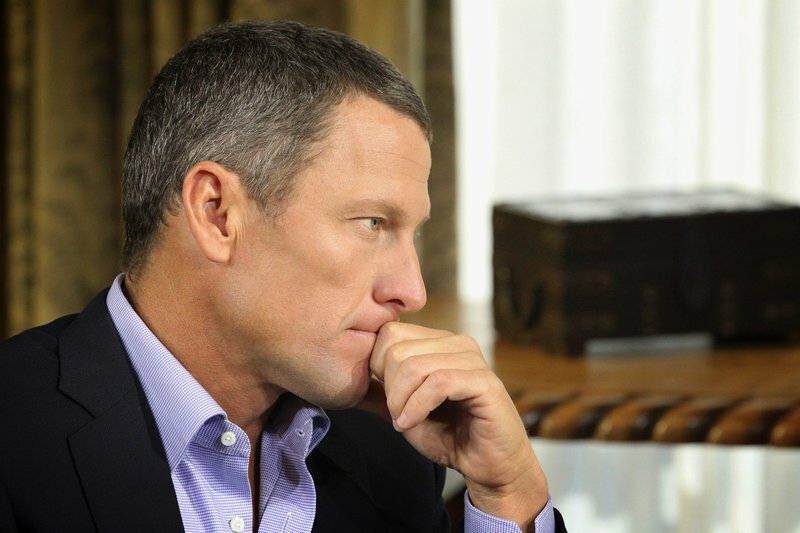 Other potential litigants include previous corporate sponsors — such as Nike, Radio Shack and Anheuser-Busch — the organizers of the Tour de France (who paid out more than $3 million in winnings) and even individuals whom Mr. Armstrong and his associates aggressively attempted to discredit and intimidate for speaking out about his doping. Taken together, current and potential lawsuits could significantly reduce Mr. Armstrong’s personal worth, estimated to be as high as $100 million. “He has the financial wherewithal to withstand significant litigation,” Mr. McCann said. “And some of these demands on Armstrong probably won’t be met. Companies seldom go to athletes and say, ‘We want our money back.’ It’s usually just too hard. Still, the potential hit to Mr. Armstrong’s bottom line points the way to a more effective sports doping deterrent. Rather than punish athletes who use performance-enhancing drugs by handing down playing suspensions and, say, making it impossible for them to be enshrined in baseball’s Hall of Fame, why not write into their performance and endorsement contracts that doping violations will result in forfeiture of past earnings and payments? Most sports contracts contain morals clauses that allow employers and sponsors to terminate relationships if athletes violate specific provisions — such as being convicted of a crime. Mr. Rodenberg, who used to work for a sports agency and participated in contract negotiations, said that the language of those clauses could be altered to include stringent anti-doping provisions. Attempting to do so, Mr. Rodenberg added, would be difficult. “It’s such a far-fetched hypothetical,” he said. “Something like that in an independent contractor sport might be possible, but in the four major professional sports leagues, none of the player unions would ever agree to something like that unless they received significant concessions on numerous other issues, like doubling the salary cap.